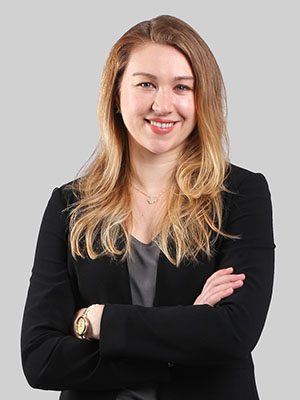 Katherine centers her practice on family law with an emphasis on matrimonial and post-judgment litigation and mediation. She also has experience in employment discrimination law and has assisted investors with arbitration matters before the Financial Industry Regulatory Authority (FINRA). Prior to joining the firm, Katherine was an associate in the Morristown office of a New Jersey law firm. During law school, Katherine was comments editor for the Seton Hall Law Review. She served as a student advocate in Seton Hall's Representation in Mediation Practicum at the Southern District of New York and the school's Investor Advocacy Project. She was also a judicial intern to the Honorable Thomas F. Brogan of the Superior Court of New Jersey, Passaic County, Civil Part.